Draft: 2011, Atlanta Braves, 37th rd. Ryne Richard Harper...Twitter: @ryneharp...graduated from Clarksville (TN) High School in 2007...played four seasons at Austin Peay State University, where he was named to OVC Commissioner's Honor Roll in 2007-08 and 2009-10...named to Dean's List in Fall 2007, Fall 2008, Spring 2010 and Fall 2010...also named to Athletic Director's Honor Roll in Fall 2007, Spring 2008, Fall 2008, Fall 2009, Spring 2010 and Fall 2010...both father and younger brother played baseball at Austin Peay. Spent first season in Twins organization after signing minor league contract January 31 ... Began season with Double-A Chattanooga and split the first month with the Lookouts and Triple-A Rochester, making four appearances at each spot during the month ... Posted a 2.34 ERA (34.2 IP, 9 ER) with four saves in 20 games from early May-late July at Chattanooga before being promoted back to Rochester where he finished the season ... Named Southern League Midseason All-Star with Lookouts ... Combined to go 1-5, (65.0 IP, 26 ER) with 10 walks, 86 strikeouts and six saves in 38 games between Chattanooga and Rochester...held left-handed batters to a .181 average and right-handers to a .294 average. Signed with Seattle in the offseason...spent most of the season with Triple-A Tacoma and four games for Double-A Arkansas in late August...13 of first 16 appearances for the Rainiers were scoreless, posting a 1.80 ERA (20.0 IP, 4 ER) in those games...held left-handed batters to a .179 average and right-handed batters to a .257 average. Signed by Arizona in offseason, spent the year with Double-A Jackson..made 42 relief appearances for the Generals...among Southern League relievers, led the league in strikeouts-per-9.0 innings (12.57) and fewest baserunners-per-9.0-innings (10.46)...also ranked among Southern League pitchers in appearances (13th with 42), strikeouts (14th with 95) and saves (T18th with 6)...averaged 12.57 strikeouts per 9.0 innings. Made 23 of 24 appearances with Double-A Mississippi (Atlanta), posting a 1.87 ERA with 40 strikeouts in 33.2 innings...also appeared in one game with the Single-A Rome...pitched for the Caneros de los Mochis in the Mexican Winter League. Had career-high 48 appearances and 76.2 innings with Double-A Mississippi (Atlanta), was 9-5 with a 2.58 ERA...played for the Peoria Javelinas of the Arizona Fall League and went 2-0 with a 3.97 ERA in 11.1 innings...at Mississippi, established career-highs in wins (9), games (48), innings (76.2) and strikeouts (93). In first season with Double-A Mississippi (Atlanta), posted a career-high 15 saves with a 1.79 ERA...led M-Braves pitchers in games (41)... selected as Mississippi's Pitcher of the Month in August after posting a 2.08 ERA (13.0 IP, 3 ERA) in 12 games, recording five saves. Split season between Single-A Rome and Single-A Lynchburg (Atlanta)...combined, posted an average of 11.68 -strikeout--per-9.0-innings (90 K's, 69.1 IP)...tossed 17.2 scoreless inning over 10 relief appearances August 5-September 1 with Lynchburg. Made professional debut with GCL Braves...promoted to Rookie-Danville, where he posted a 0.83 ERA in 21.1 innings...earned Appalachian League Pitcher of the Week Honors for the week ending August 21, going 1-0 with 6.1 scoreless innings and six strikeouts in two games. March 27, 2019 Minnesota Twins selected the contract of RHP Ryne Harper from Rochester Red Wings. February 9, 2019 Minnesota Twins invited non-roster RHP Ryne Harper to spring training. December 15, 2018 Bravos de Margarita activated RHP Ryne Harper. December 12, 2018 RHP Ryne Harper assigned to Bravos de Margarita. November 15, 2018 RHP Ryne Harper assigned to Bravos de Margarita. July 30, 2018 RHP Ryne Harper assigned to Rochester Red Wings from Chattanooga Lookouts. June 24, 2018 RHP Ryne Harper assigned to Rochester Red Wings. May 9, 2018 RHP Ryne Harper assigned to Chattanooga Lookouts from Rochester Red Wings. April 16, 2018 RHP Ryne Harper assigned to Rochester Red Wings from Chattanooga Lookouts. April 4, 2018 RHP Ryne Harper assigned to Chattanooga Lookouts from Rochester Red Wings. February 24, 2018 RHP Ryne Harper assigned to Minnesota Twins. February 6, 2018 RHP Ryne Harper assigned to Rochester Red Wings. February 2, 2018 Minnesota Twins signed free agent RHP Ryne Harper to a minor league contract. November 6, 2017 RHP Ryne Harper elected free agency. September 1, 2017 RHP Ryne Harper assigned to Tacoma Rainiers from Arkansas Travelers. August 18, 2017 RHP Ryne Harper assigned to Arkansas Travelers from Tacoma Rainiers. July 2, 2017 Tacoma Rainiers activated RHP Ryne Harper from the 7-day disabled list. June 26, 2017 Tacoma Rainiers placed RHP Ryne Harper on the 7-day disabled list retroactive to June 24, 2017. June 17, 2017 Seattle Mariners sent Ryne Harper outright to Tacoma Rainiers. May 31, 2017 Seattle Mariners optioned RHP Ryne Harper to Tacoma Rainiers. May 28, 2017 Seattle Mariners selected the contract of Ryne Harper from Tacoma Rainiers. April 1, 2017 RHP Ryne Harper assigned to Tacoma Rainiers. March 17, 2017 RHP Ryne Harper assigned to Seattle Mariners. 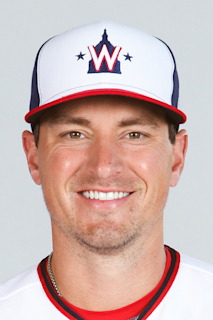 April 2, 2016 Ryne Harper assigned to Jackson Generals from Tacoma Rainiers. December 11, 2015 RHP Ryne Harper assigned to Tacoma Rainiers. November 23, 2015 Caneros de los Mochis placed RHP Ryne Harper on the reserve list. October 23, 2015 RHP Ryne Harper assigned to Caneros de los Mochis. July 31, 2015 Mississippi Braves activated RHP Ryne Harper from the 7-day disabled list. July 8, 2015 Mississippi Braves placed RHP Ryne Harper on the 7-day disabled list. May 24, 2015 RHP Ryne Harper assigned to Mississippi Braves from Rome Braves. May 22, 2015 RHP Ryne Harper assigned to Rome Braves from Gwinnett Braves. April 6, 2015 Gwinnett Braves placed RHP Ryne Harper on the 7-day disabled list. April 2, 2015 RHP Ryne Harper assigned to Gwinnett Braves from Mississippi Braves. March 15, 2015 RHP Ryne Harper assigned to Atlanta Braves. March 2, 2014 RHP Ryne Harper assigned to Atlanta Braves. May 20, 2013 Mississippi Braves activated RHP Ryne Harper from the 7-day disabled list. March 29, 2013 RHP Ryne Harper assigned to Mississippi Braves from Lynchburg Hillcats. March 26, 2013 RHP Ryne Harper assigned to Atlanta Braves. June 9, 2012 Ryne Harper assigned to Lynchburg Hillcats from Rome Braves. April 2, 2012 Ryne Harper assigned to Rome Braves from Danville Braves. July 13, 2011 Ryne Harper assigned to Danville Braves from GCL Braves. June 17, 2011 Ryne Harper assigned to GCL Braves from Atlanta Braves. June 16, 2011 Atlanta Braves signed RHP Ryne Harper.